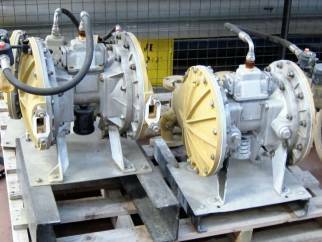 Used Sandpiper-Warren RUPP Type ST40 SGV-4-SS stainless steel double diaphragm pump. Capacity 0-340 litres per minute at heads up to 8.8 kg/cm² or 88 metres. Has approx 37.5mm connections. 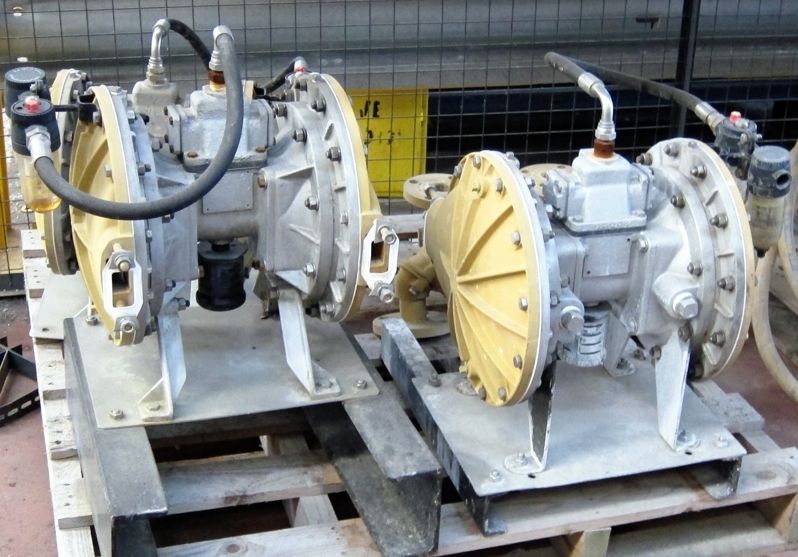 Air driven with stainless steel manifold, PTFE diaphragm/neoprene driver and PTFE ball valve & seat. Mounted on baseplate.